You don't need to be a member of MUFON to read this book, but it does help to have a vigorous imagination. 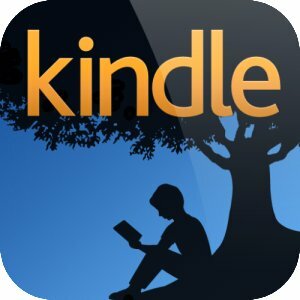 I've just read the ebook Aoléon: The Martian Girl (Part One: First Contact), written and illustrated by Brent LeVasseur, on my iPad mini (my eReader). This short book (under 100 pages) will have five parts, and is appropriate for middle-grade children. In the first chapter of Part One, we meet a young boy, Gilbert Sullivan, who often has disturbing dreams before crop circles appear on his neighbor's farm in Nebraska. Gilbert's interest in space and astronomy was sparked by mysterious crop circles that appeared in Old Farmer Neville Johnson's farm. One night, wide awake after his recurring nightmare, Gilbert hears his parents arguing downstairs, and wishes for an end to the trouble, and for an angel who would take him far away. When he notices a bright light outside, he decides to investigate. Gilbert ventures outside toward the distant, glowing light, through the wheat fields of the farm next door. Farmer Johnson, at the urging of his wife, also goes outside, with his three-legged dog, Tripod, and walks toward the brilliant light. Gilbert trips over someone in the field, and meets Aoléon, the Martian Girl. Strange-looking yet beautiful, with huge blue eyes and turquoise skin, this girl is from Mars (though Aoleon's website is accessible to Terrans like us). She has special powers which are remarkable to Gilbert. She seems to be able to read his mind, and her touch heals (she helps Tripod after he falls in a gopher hole). To escape from Farmer Johnson, who believes that vandals are making the crop circles, the Martian Girl brings Gilbert onto her spacecraft. Gilbert and Aoléon fly above the earth, travel through various countries, and experience many adventures together. As they soar toward the North Pole in Aoléon's spacecraft, Gilbert realizes that he's "been abducted by a nutty alien who's a speed freak". Gilbert's wish to leave home has come true, and his boring, ordinary life is a thing of the past. "I used The Foundry Modo to make all the character models, buildings, props such as weapons and ships, and to render them, using Modo's amazing built in renderer. The landscapes and the Planet Mars with the exclusion of Gilbert's farm field, were rendered using Planetside's Terragen 2/3. The final renders were color corrected and any effects such as lens flares and or depth-of-field blurs were done in both Adobe After Effects and Photoshop." Brent calls his pictures 3D renders. They are really fantastic! In fact, although I enjoyed the prose of the story, it's the images in this book that make it so appealing, at least to me. The book features many pictures of space, as well as flying cows, and other humorous things (and one-liners), that would translate well into film. This book has MOVIE written all over it. While I was reading it, I wondered if this was going to be a movie--maybe it's already in pre-production? It would be perfect as an animated film. 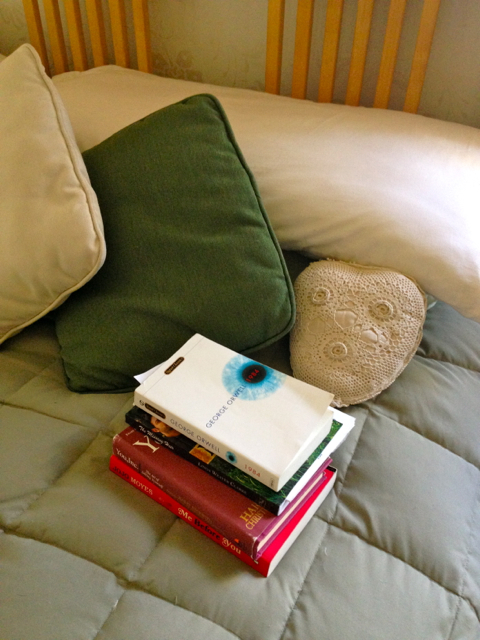 I enjoyed the ideas in the book about dreams (or nightmares), telepathy and mind-reading, and the ability to heal through touch and thought (yes, I'm a bit "new age"). It's imaginative and clever, and suitable for folks like me (who don't read a great deal of science fiction), as well as for young adults drawn to sci-fi and adventure stories. At the end of the book there's a helpful glossary which defines some of the terms used in the book. 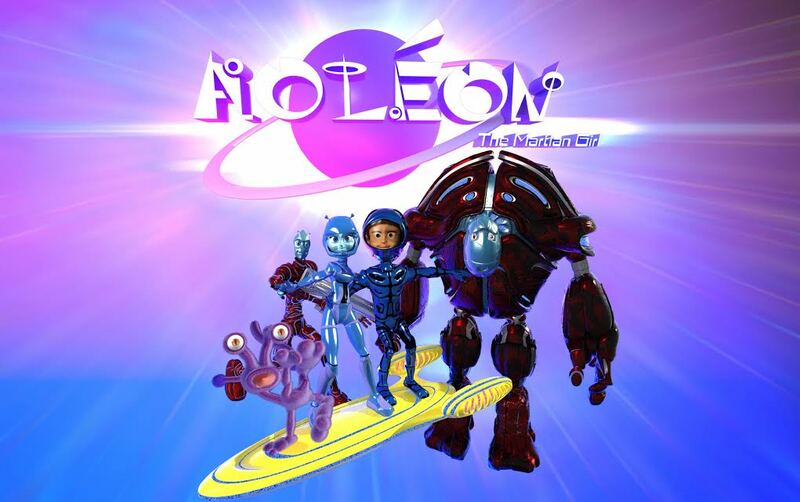 There's also a related song, Another World ~ Aoléon: The Martian Girl Song, featuring Élan Noelle, on iTunes! I listened to it, and it's a pretty song (that would be great in the movie). 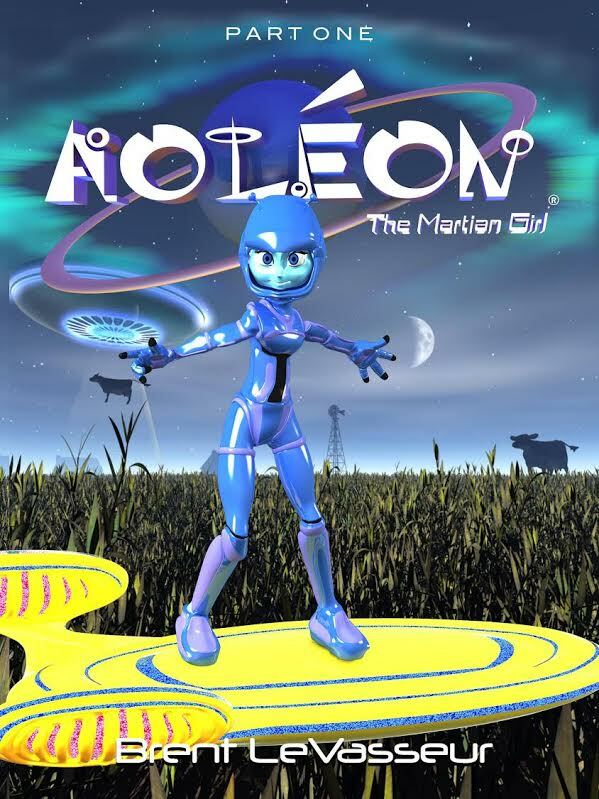 Aoléon: The Martian Girl (Part One) will be available at the end of January 2015, but you can pre-order the book now, on Amazon. As for me, I look forward to reading Part Two! Many thanks to Laura from iRead Book Tours for sending me an advanced readers copy of this ebook. For more reviews, please stop by iRead's book blog tour for Aoléon: The Martian Girl (Part One). 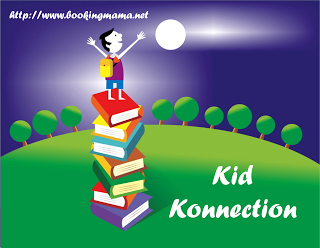 Since this book is for young adults, I've added a link to this review to Kid Konnection, hosted by Booking Mama. Thanks very much for reading! Your comments are welcomed. At last--my wait is over! I don't like time to pass too quickly, but I do look forward to this special meme all year long. 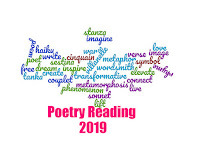 Created by Melwyk from The Indextrious Reader, A Year in First Lines is a once-a-year, end-of-year meme, that creates a personal collage of your year in reading and writing. Simply stated, the idea of this meme is "to take the first line of each month's first post over the past year and see what it tells you about your blogging year". 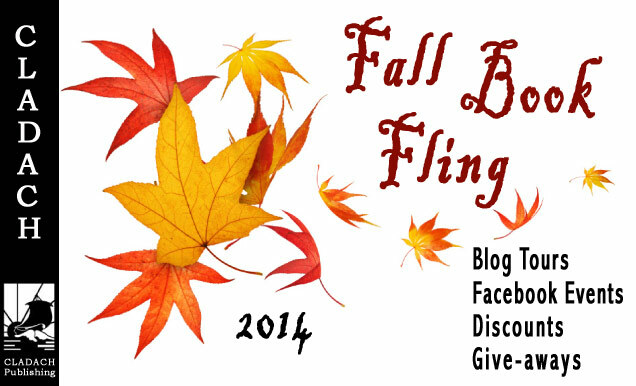 It's a lot of fun, and I encourage other book bloggers to try it. As a reader, you'll recall and think about some of the books that you read over the past year (which is valuable when you read a lot of books). As a writer, you'll note the strength of your opening sentences. (Are they good enough to "catch" readers? Do they show variety?) I could go on and on, but since it's an extra busy time of the year, here are my first lines. Do your bookstacks defy gravity? When Irish playwright and novelist Dermot Davis contacted me about reading his self-published book, Brain: The Man Who Wrote the Book That Changed the World, winner of the 2013 USA Best Book Awards for humor, I knew I wanted to read it. 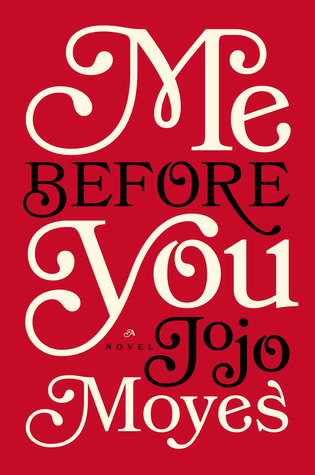 After Caroline Sommer's husband of fifteen years, Scott, announces that he's "had enough", he methodically packs a suitcase and leaves her alone at home in Columbus, Ohio, with their three young children, Henry, 5, Maggie, 7, and Jack, 9, and Caroline is understandably distraught and confused. Most of you already know what a cozy mystery or "cozy" is, but for those who require a bit of help, it's a mystery that's not too gory or violent. Although I have never had an eating disorder, I've struggled at various times with weight and appearance issues, like many women. Which characteristic do you value most in a female protagonist? When Laura from Italy Book Tours invited me to participate in the tour for The Supreme Macaroni Company by Adriana Trigiani, I was overjoyed. Author Tanya J. Peterson does not shy away from difficult subjects in her books. 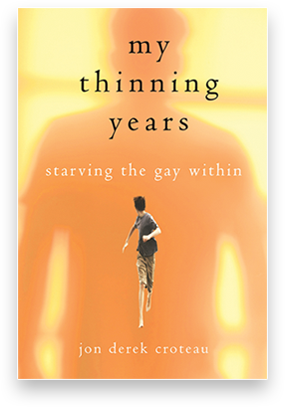 In My Thinning Years: Starving the Gay Within, a memoir by Jon Derek Croteau, published in September of 2014, the author talks a lot about his father, a bully who constantly criticized his wife and three children, Jared, Julie, and Jon. Is there a term for someone who collects words? To read beyond these first lines, simply click on the month above them. Not surprisingly, my year in reading and writing was rather eclectic. 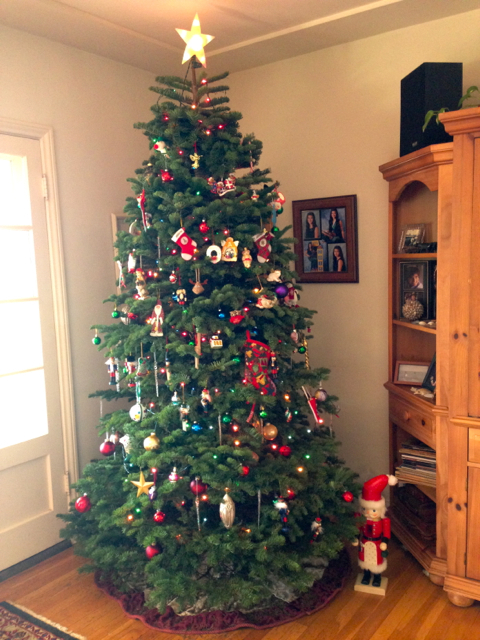 Thanks for reading, and have a wonderful holiday season! The lord of misrule was in charge of the Christmas revelries, which included partying and drunkenness. Wild partying aside, I love this humorous title, and think I'll start using this term, although I'm not sure anyone in my family will understand what it means (unless they happen to stop by here). Bildungsroman is a combination of two German words, bildung, which means education, and roman, which means novel. 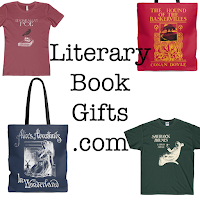 There are many bildungsromans, including Jane Erye, David Copperfield, and The Catcher in the Rye (Holden Caulfield). 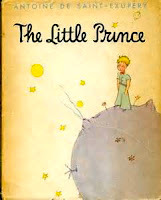 Do you have a favorite bildungsroman? 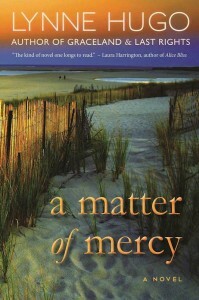 The last word is from the novel I'm currently reading, A Matter of Mercy by Lynne Hugo, which I'll review next month during the TLC book tour. 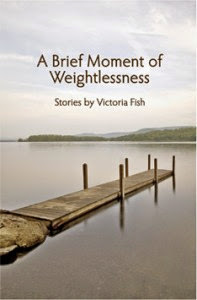 "Caroline walked off the grant, cultch crunching under her boots." 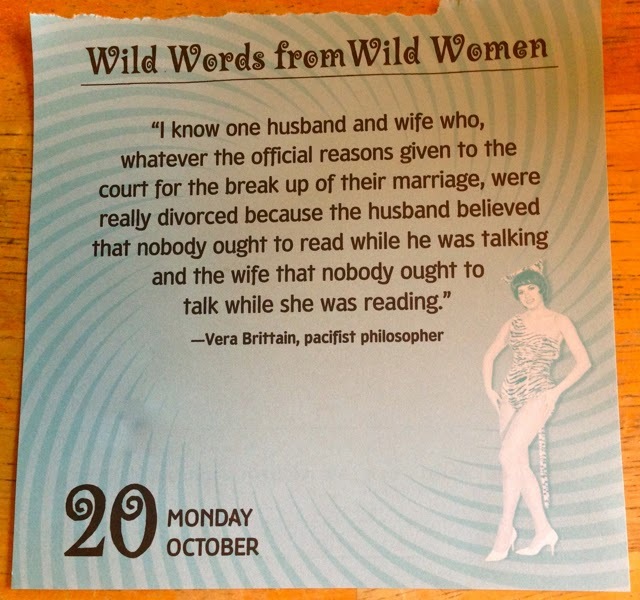 I could picture this, and hear the crunch, but I looked cultch up to get a precise definition (and to help me remember how it's spelled--it can also be spelled without the 't', as culch). 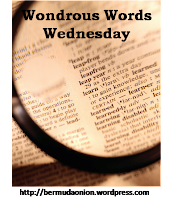 Hosted each week by Kathy from BermudaOnion's Weblog, Wondrous Words Wednesday is a fun celebration of words. What are your latest word discoveries? 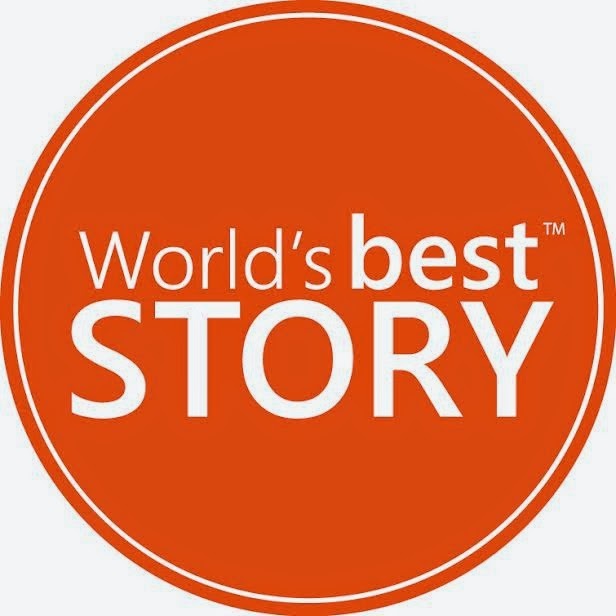 The most compelling stories are often based on true stories. Liesl's Ocean Rescue is a book for children that's based on a true story, written by Barbara Krasner, and illustrated by Avi Katz. 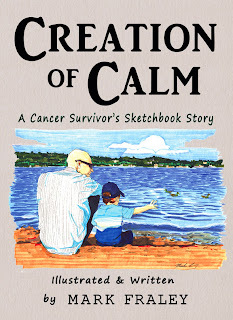 Published in 2014, this picture book tells the story of 10-year-old Liesl Joseph and her family, through expressive prose and charming drawings that complement each other well. In the book, Liesl's father, Josef Joseph, a lawyer, is arrested in his own home in Rheydt, Germany by Nazi soldiers, and Jewish homes and businesses all over Germany are attacked and destroyed during Kristallnacht, "Night of the Broken Glass". In order to survive, the Joseph family, and many other Jews, decide to leave Germany. In May of 1939, along with nearly 1,000 others, they board the MS St. Louis, a luxury ocean liner which was bound for Havana, and then America. The story is from Liesl's perspective, although it's told in the third person, and we see life through the eyes of the young protagonist. Liesl adores her father. She has faith that Father will make everything all right, even when she learns they have to leave Germany "forever", on the MS St. Louis. Liesl enjoys being on the MS St. Louis. She has more freedom on the ship than she had in Germany. She can walk around freely, watch movies, and enjoy a variety of foods (in Germany, she only ate rationed bread and eggs). She makes friends, plays checkers, bangs the gong to communicate with people on the ship, and helps in other ways, too. The fun of being on the ship lasts for two weeks. When they reach the harbor in Havana, the passengers are not allowed into Cuba. They're ordered to go back to Germany, but they refuse because they know they'll be taken to the concentration camps and killed. Father has been put in charge, and he sends out cablegrams for help. Eventually, after some more time at sea, they receive good news from the head of the American Jewish Joint Distribution Committee's Paris office, Mr. Morris Troper. The passengers will be allowed to go to Belgium, Holland, France, and England. When Liesl meets Mr. Troper on the ship, on her birthday, she has a thank you speech prepared. 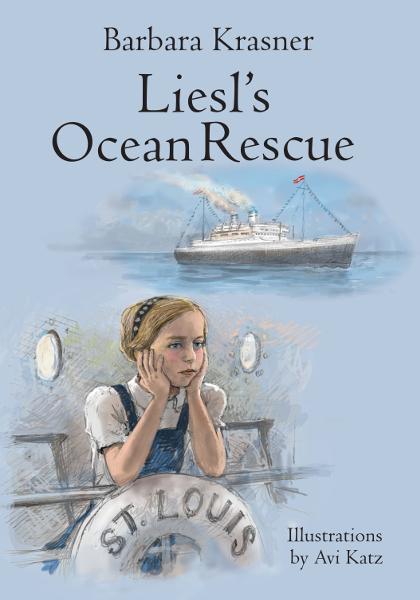 Liesl's Ocean Rescue is a good way to introduce elementary school children to this dark part of our history which includes the story of the MS St. Louis and the Holocaust. 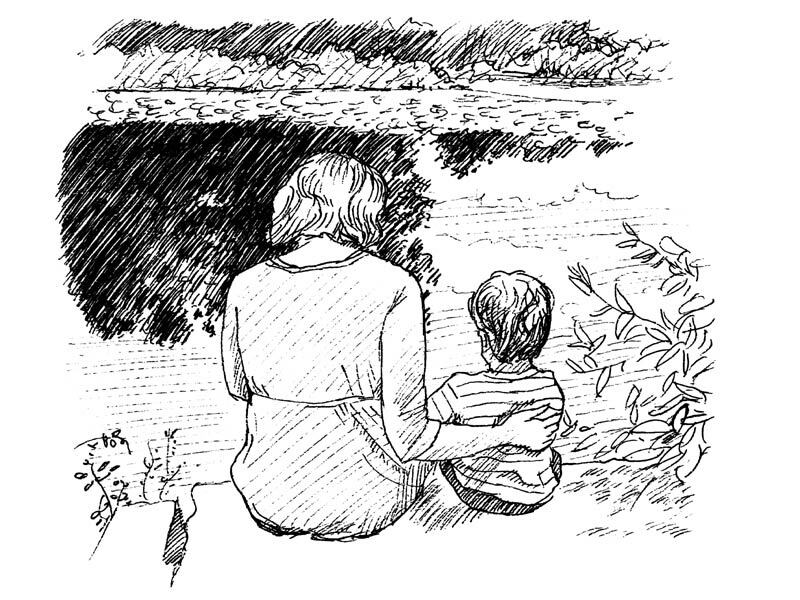 The gray and white drawings inside of the book contribute to the underlying tone of the story, which is somber. Thankfully, the book features some joyful moments. At the beginning of the book (November 1938), Father's birthday is mentioned, and at the end of the book (June 1939), it's Liesl's eleventh birthday. Children will enjoy the mentions of the birthdays. Throughout the pages, they will imagine what it must have been like for Liesl. The story ends on an optimistic note which is a relief, given the difficult subject matter of the book. As an adult, I found Liesl's story poignant. Lovely details in the story made me smile, despite the seriousness of this story. 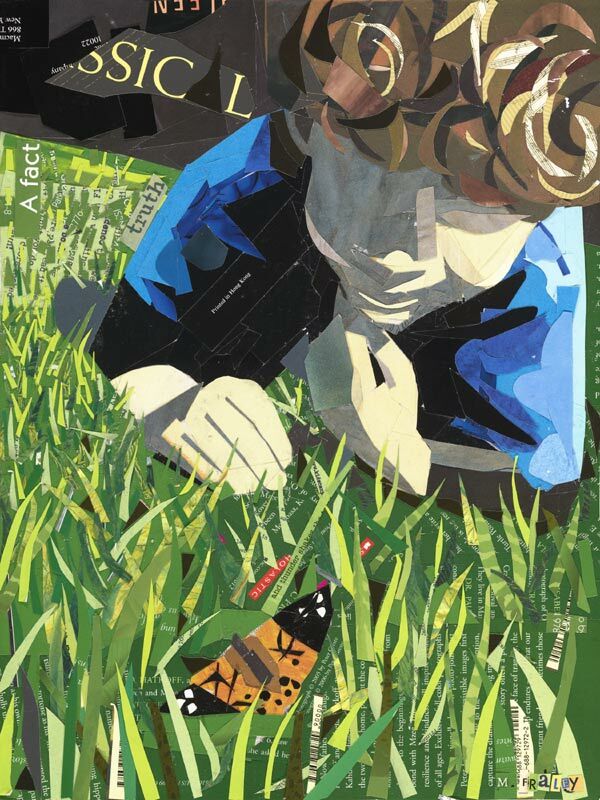 I was very pleased to read the author's notes at the end of the book and learn that Liesl and her family made it safely to America in 1940, and settled in Philadelphia, PA. Liesl Joseph Loeb became a graphic designer and artist, and died in August of 2013. Author Barbara Krasner has written an exclusive guest post for us, which follows this review. 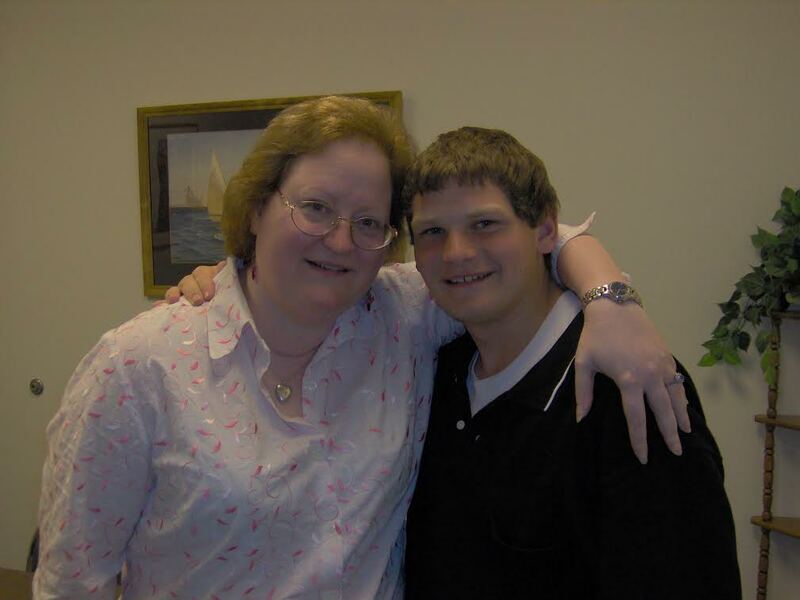 About twenty-five years ago, when my son was born, I was diagnosed with bacterial meningitis, landing me in the hospital for more than two weeks. 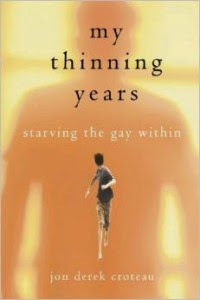 It was a defining moment for me, as I began to realize my life’s priorities needed to change. I ultimately became less enamored with my corporate life and wanted to connect to something higher and make more of an impact on the world. 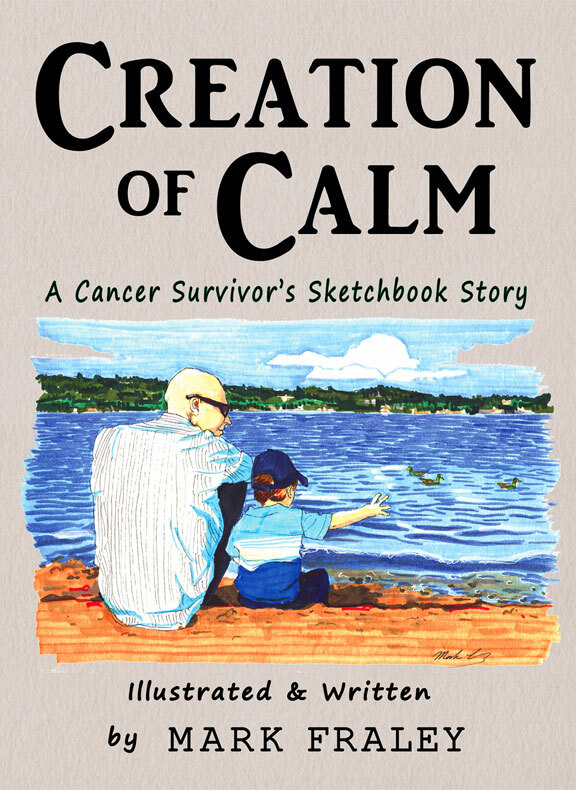 I decided I wanted to leave a legacy to my son and once out of the hospital, I put plans in place to write for children and to research my family’s history. The skills I learned as a genealogist help me as a historian and as a writer. For example, one of the first steps one takes in researching the family tree is to speak with the eldest members of the family, collecting names, places, and dates, as well as family traditions and stories. I didn’t know at the time that this would provide me with the foundation to become an oral historian. I learned how to become a detective, how to put my B.A. in German and Russian to use in reading vital records from the Austro-Hungarian Empire and from Poland/Russia, and how to deal with conflicting information from multiple sources. 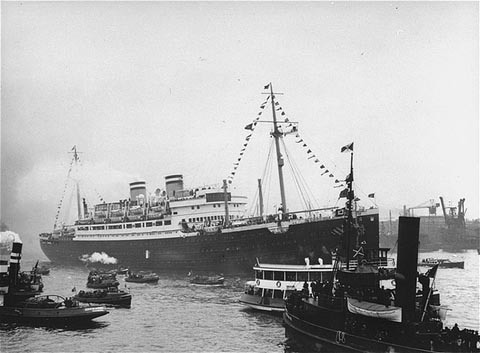 I had grown up with the story of the MS St. Louis, the ship the United States turned away, the ship with nearly 1,000 German-Jewish refugees seeking safety from the Nazis in 1939. With the help of the U.S. Holocaust Memorial Museum in Washington, D.C. I located several survivors who had been children on board. 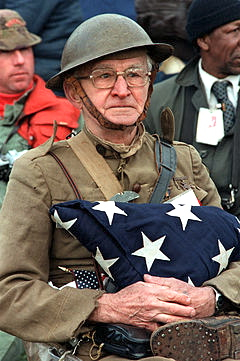 Using the oral history techniques I’d learned as a genealogist (and as a corporate market researcher), I collected testimonies about experiences on the St. Louis. These, combined with material culled from the Holocaust Museum and from the archives of the American Jewish Joint Distribution Committee in New York City, became the foundation for telling Liesl’s story aboard the St. Louis in Liesl’s Ocean Rescue. I teach creative writing at William Paterson University, where I am also pursuing a master’s in public history, that is, making history accessible to the masses. That is what I do as a writer. But now I have even more opportunity to serve as an oral historian. Currently, I’m helping the National Park Service collect oral histories of Paterson, New Jersey and I’ve collected several for my hometown of Kearny, New Jersey. 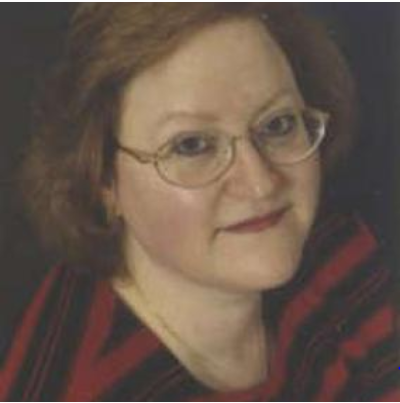 Being a genealogist and oral historian, I believe, brings a set of skills to writing and to writing for children that is unique. It’s important to realize your strengths and to make them even stronger. I hope that I continue to build on these skills for future books for kids and for adults. 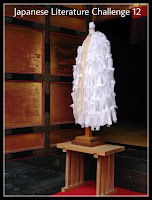 Barbara, thank you for this interesting guest post! Your work is purposeful and wonderful. I think listening, intently, to the stories of others is incredibly important for writers, especially writers of history or historical fiction. 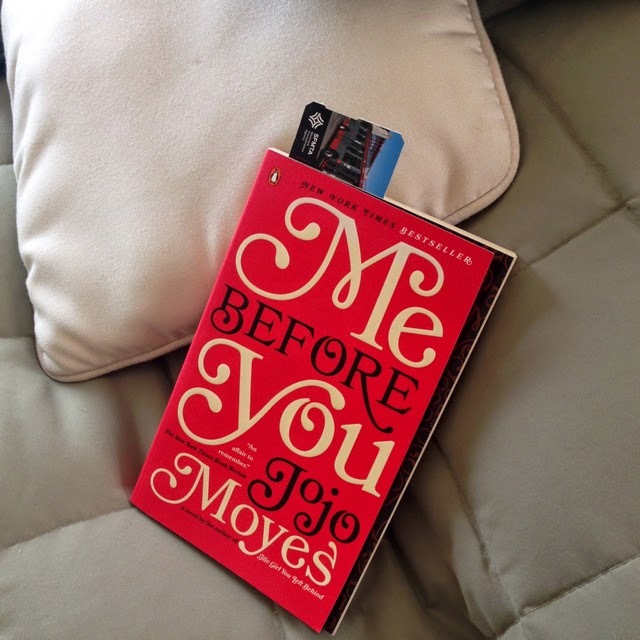 Many thanks to Laura from iRead Book Tours for sending me an advanced readers copy of this book. For more reviews, giveaways, and other features, please stop by iRead's book blog tour for Liesl's Ocean Rescue. Because this is a children's book, I've added a link to this review to Kid Konnection, hosted by Booking Mama. Boop-oop-a-doop! 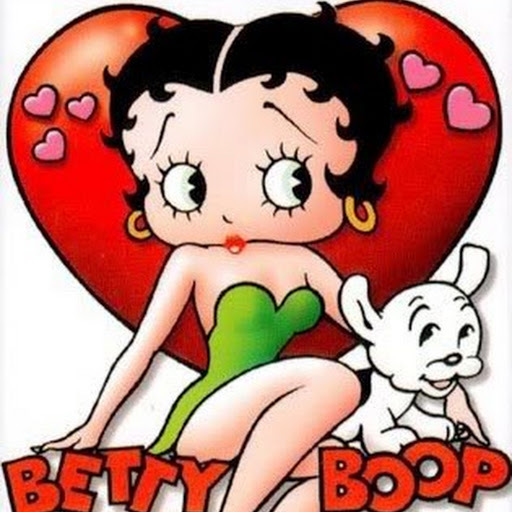 Please help me to congratulate Lisa Brown, who uses this cute picture of Betty Boop as her online icon. 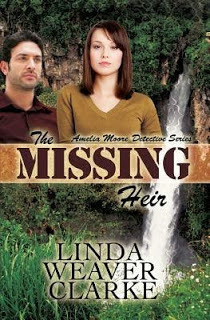 Lisa has won an ebook version of The Missing Heir by author Linda Weaver Clarke. Congrats, Lisa! I think you'll enjoy reading this book. Thanks to everyone who entered the giveaway for this romantic, cozy mystery. 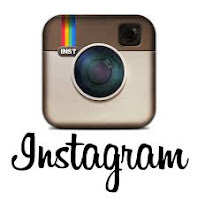 If you didn't win this time, please check the right side of my blog for other giveaways. I'm not a vegetarian, but I don't eat a lot of meat. A while ago, I started a tradition of Meatless Mondays in our home. 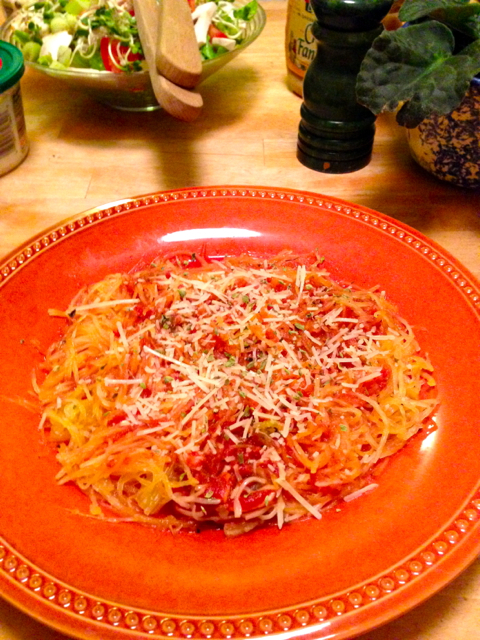 One dish I have started to make recently for Meatless Monday is spaghetti squash, although of course you could make this on any day of the week. 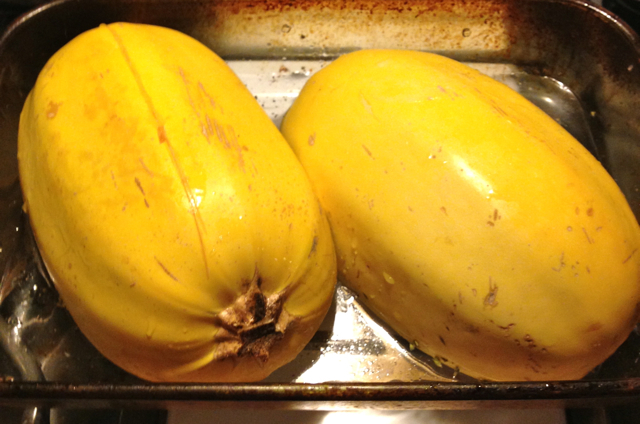 Recently, I found some organic spaghetti squash at Jimbo's, which carries primarily organic produce. Spaghetti squash is a tasty, healthy alternative to regular spaghetti or pasta, and is super easy to make. However, cutting the squash in half lengthwise is hard for me! Perhaps I don't have the right knife for this. You need a long, sturdy, and sharp knife to cut the squash. None of my kitchen knives fit these requirements. Anyway, I put the squash in the microwave first for a minute or two (even though I don't like to use microwaves), to soften it a bit and make it easier to cut in half. Then I put the knife in the center of the squash, and cut it in half carefully, using my hands to separate the halves if needed. Please be careful as the knife can get stuck! Also, please use pot holders to handle the squash once it's been "nuked" (and after it's been in the oven). Preheat oven to 350º. After you succeed in cutting the squash in half, gently scrap out the seeds in the center. 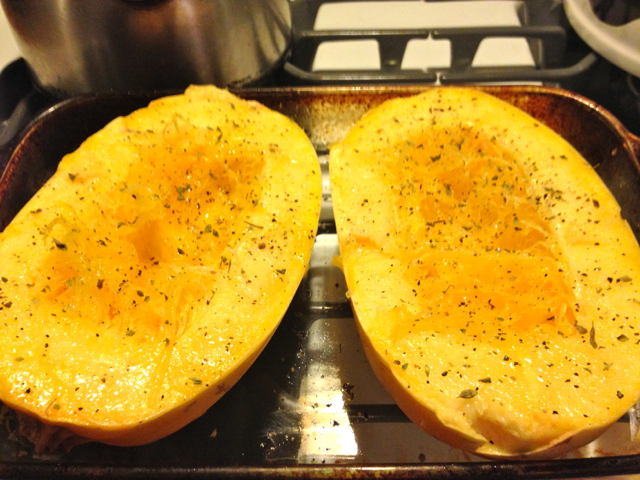 Season the squash with a bit of olive oil (I use my Misto), and oregano, salt, pepper, or other spices to taste, and place cut side up in a baking dish with about 1/4 inch of water in it. I use glass baking dishes, two halves per dish. Cook uncovered for about 35 to 40 minutes, or until tender. Handle hot squash (and dishes, too, of course) with pot holders. Scrap inside of cooked squash with a fork and scoop out the "spaghetti". Each person should get about half a squash. Makes 4 servings. Top with your favorite sauce (or more olive oil), and Parmesan cheese. I love the addition of shredded Parmesan. Serve with a fresh salad and some bread, if desired. I want to try adding thin slices of cooked zucchini to this, to add even more squash to this dish! Appearing on random Tuesdays, Really Random Tuesday is a way to post odds and ends--announcements, musings, quotes, photos--any blogging and book-related things you can think of. 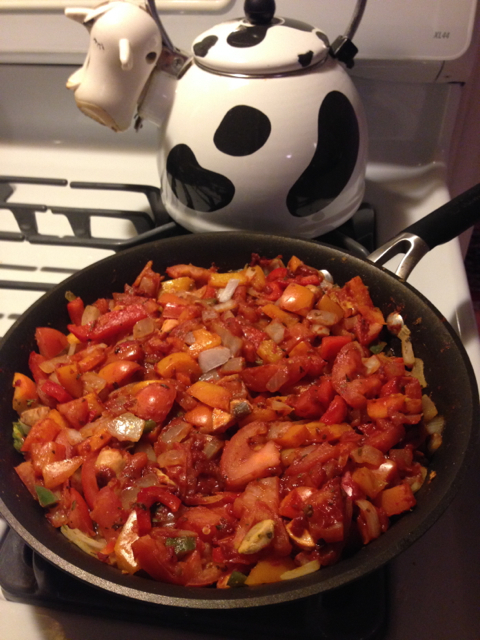 I often announce my book giveaway winners in these posts, and sometimes I also share a recipe. 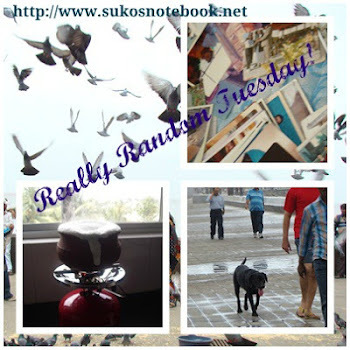 If you have miscellaneous book news to gather up and are inspired by this idea, "grab" the button for use on your own blog, and add your link to the "master" Mister Linky on the Really Random Tuesday page. 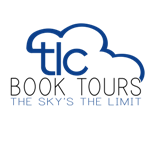 Have a terrific Tuesday! Your comments are welcomed. "Getting your body to switch over from fat-storing mode to fat-burning mode is easier than you think. Food is the problem and the answer." Is there a new way to lose weight quickly? 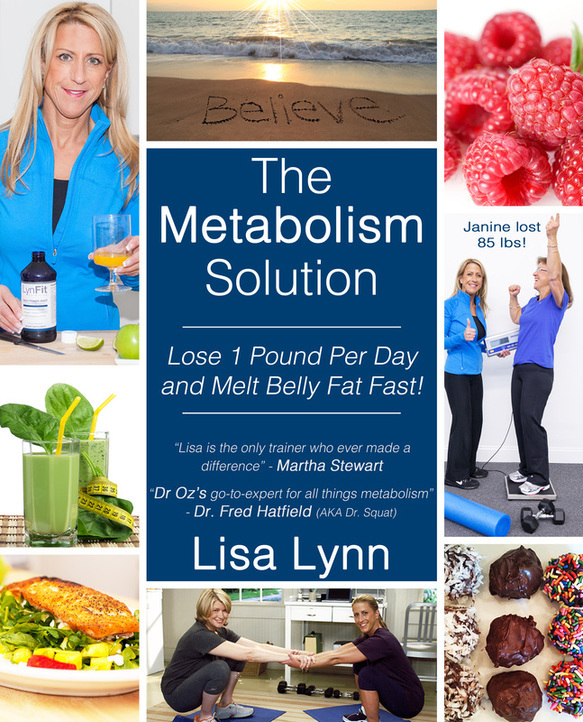 Published in 2014, The Metabolism Solution: Lose 1 Pound Per Day and Melt Belly Fat Fast! by celebrity fitness and nutrition expert Lisa Lynn is a book that was motivated by the author's own struggles with weight loss. With nearly 30 years of experience in nutrition and fitness, she's been Martha Stewart's personal trainer for 13 years, and has been a guest on Martha's television show over 50 times. She's also appeared many times on The Dr. Oz Show (one of my favorite shows, although I don't watch it often enough). "My specialty is revving the metabolism, known as metabolic hyping in the fitness world. Metabolic hyping creates an optimal environment for fat loss by helping to lower blood sugar levels and enhancing metabolism--this is the secret to melting fat faster." The Metabolism Solution "addresses weight loss and fitness issues from the inside out", and explains how to use food, exercise, supplements, and the power of God to boost your metabolism. This book features more than 100 healthy and delicious-sounding thermogenic recipes. 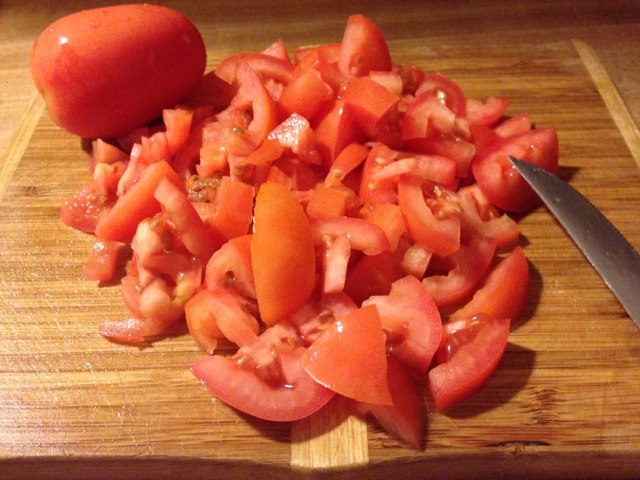 (Lisa's Famous Sautéed Salad sounds wonderful!) I've skimmed my copy of the book, which arrived in the mail recently, and I've already learned a few things! I'll post a review of The Metabolism Solution next month. Great news! In conjunction with iRead Book Tours, the author is generously offering a giveaway for the LynFit Fat Loss Trio Product Package, plus a copy of The Metabolism Solution. 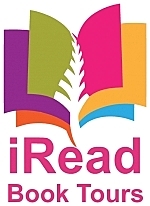 I'm pleased to be the first stop on the iRead Book Tours Spotlight Tour for The Metabolism Solution. 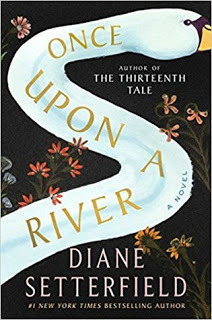 Many thanks to Laura from iRead Book Tours for sending me a complimentary copy of this book, and for offering this terrific giveaway!